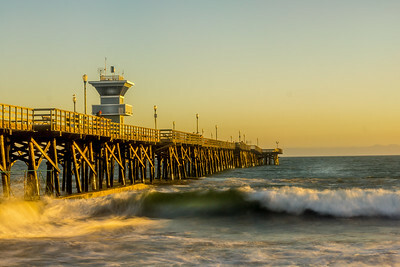 Includes images of the many unique Piers on the California cost from the Monterey Bay area to Imperial Beach, the most southwesterly city in the continental United States. 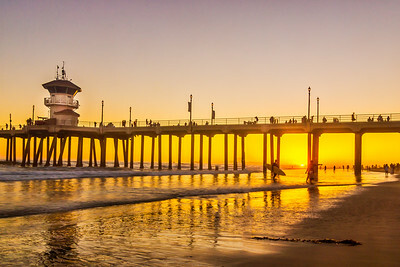 ​I captured the pier right at the golden hour (sunset). 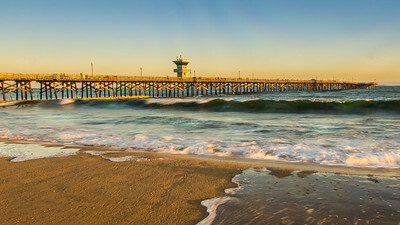 The pier is 1,850 feet in length, and the​ iconic Huntington Beach Pier is one of the longest piers on the West Coast. Jutting out into the Pacific Ocean at the intersection of Main Street and Pacific Coast Highway, it symbolizes the heart of Huntington Beach and is the most photographed spot in town. This photo was taken as an approaching winter storm moving over the Pacific Ocean. 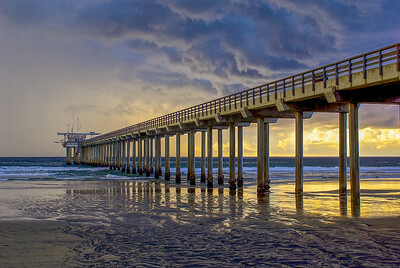 Scripps Pier located at the Scripps Institute of Oceanography-UC San Diego​ In La Jolla, CA. 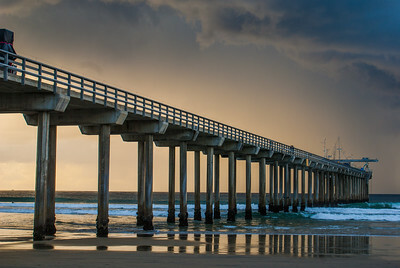 ​I captured this scene of Scripps Pier as a winter storm was moving in from the Pacific Ocean. 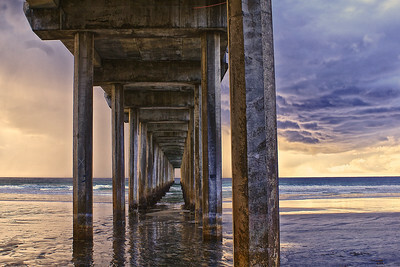 Scripps Pier is located in La Jolla, California. 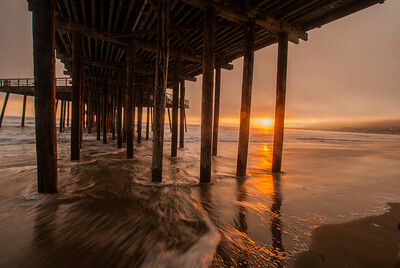 Pismo Pier is the largest pier in San Luis Obispo County California and has beautiful diamond-shaped platforms. Built in 1985, it replaced the 1924 pier. Walk out to the end of the pier and watch the surfers and fishing. Enjoy breathtaking views of Pismo and the coast. 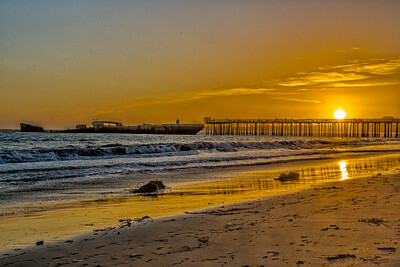 I took this photo as the Sun was setting behind the pier and the old cement ship Palo Alto at the end of the pier. 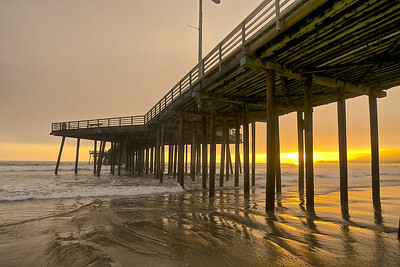 Only a few California piers have truly unique features and this pier is one of them. The end of this wooden 500-foot-long pier connects to the old cement ship Palo Alto. The park and pier sit in a pocket of Monterey Bay known as Soquel Cove, an area noted for its good halibut trolling. 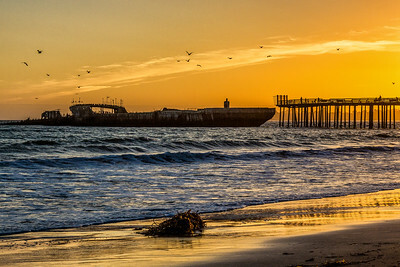 ​I captured this photo of Seacliff pier and the old cement ship Palo Alto at the end of the Pier at sunset. 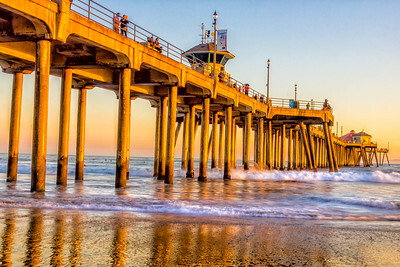 Only a few California piers have genuinely unique features, and this pier is one of them. The end of this wooden 500-foot-long pier connects to the old cement ship Palo Alto. The park and pier sit in a pocket of Monterey Bay known as Soquel Cove, an area noted for its excellent halibut trolling. I captured the pier right at the golden hour (sunset). 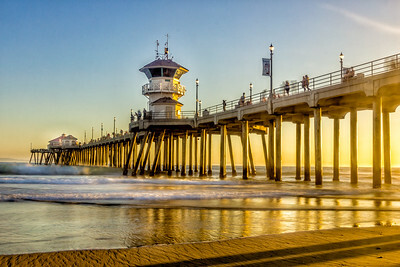 The pier is 1,850 feet in length, the iconic Huntington Beach Pier is one of the longest piers on the West Coast. 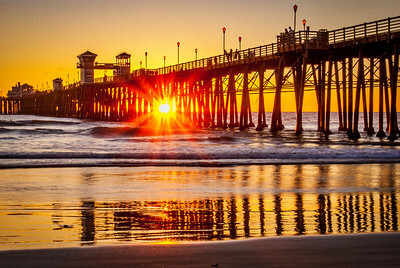 Jutting out into the Pacific Ocean at the intersection of Main Street and Pacific Coast Highway, it symbolizes the heart of Huntington Beach and is the most photographed spot in town. I captured 22 images and the ran them through HDR processing and then Stitched them in Lightroom Panorama merge.